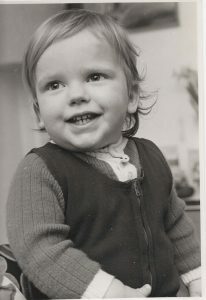 In 1973, I was the first person in the world to survive a bone marrow transplant from an unrelated donor. I was born with a genetic disease affecting my immune system and was facing certain death. My brother had already died of the same condition a few months earlier. My mother’s courage and determination to save me no matter what resulted in a nationwide media campaign to find a bone marrow donor. A match was found and a young mother, Joan Macfarlane, became the first person ever to successfully donate stem cells to an unrelated recipient. Her selfless act saved my life on Friday 13th 1973. 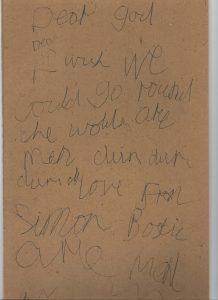 The news of this medical breakthrough reached Australia and prompted Shirley Nolan to bring her son Anthony to the UK. Building on the list of donors who had come forward for me, Shirley realised that this could become a generally available register to help not just me and Anthony, but tens of thousands of people. Sadly a donor was never found for Anthony, but his legacy is the largest and best known worldwide stem cell donor register today, Anthony Nolan. The breakthroughs made by the team who saved my life taught the profession much about how best to replace the patient’s bone marrow most effectively. For me, the beneficial effects of the transplant lasted only four years – but long enough to see the development of new drugs and treatments that have kept me going since. My life has not been without its dramas and very close shaves. The disease means I am very vulnerable to infection and serious inflammatory problems: I have survived 5 liver abscesses, repeated bacterial pneumonia (too many times to remember), fungal pneumonia (hugely serious in immuno-compromised people), many lymph node abscesses of the neck and groin, regular digestive tract issues and, in the last 5 years, serious inflammation of the colon caused by CGD Colitis which left me without a colon and with an ileostomy. I hated the bag so much that I could barely look at myself in the mirror at first. In an effort to live without it, I underwent a second large operation to have a “reversal” procedure but this went wrong and led to a further 5 major abdominal operations and included spending 3 years with pelvic sepsis and open abscesses and wounds which simply would not heal. As I write this, I still have an intra-abdominal collection of fluid which could get infected at any time and which connects via a tiny tract called a fistula to an small open wound just above my coccyx. 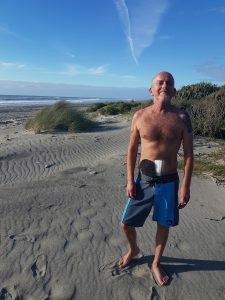 And I STILL have my ileostomy but compared to what I went through to get rid of it, I can honestly say I now have moved on and I live in harmony with it – without it – and without my portable oxygen concentrator, I couldn’t survive, let along get around a bit still! In spite of all this but thanks to the miracles of the medical profession, my life has been rich and colourful, to say the least. I have travelled the world and the seven seas, both independently and thanks to my wonderful 15 years working in adventure travel. Now, I travel as often as I can. I do this as a very disabled person these days, struggling as I am with an ileostomy and also very poor lung function and I hope I will share some of these experiences on this blog. It is fair to say that life has taken its toll and I have suffered emotionally as a result of such losses and my survival against the odds includes my battles with depression and anxiety. I sublimate some of this with the voluntary work I do as a counsellor and bereavement support volunteer and I am in the middle of a 4 year graduate diploma in Biodynamic Body-psychotherapy. If there is one thing I hope my life can bring, it is hope. If there is one thing I hope I can yet do, it is myself to learn more and pass onto others the extent to which the mind and body are intrinsically linked, how our emotions play a huge and vital role in our physical well-being and that through working with touch and through the body, all sorts of miracles are possible. At age 47, I am an old man indeed for someone with this disease. I have recently been advised by medics to “manage my expectations” given the scars and wounds inflicted by it on my body over time..